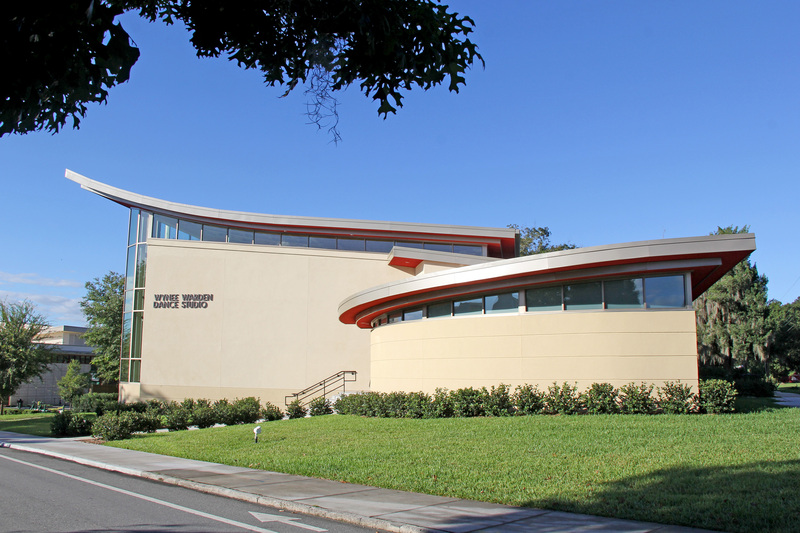 Marshall and Vera Lea Rinker Technology Center at Florida Southern College | WMB-ROI, Inc.
WMB-ROI worked with Florida Southern College to construct a new 4,200 SF one story technology center located on the site of the now demolished Columbia Residence Hall. 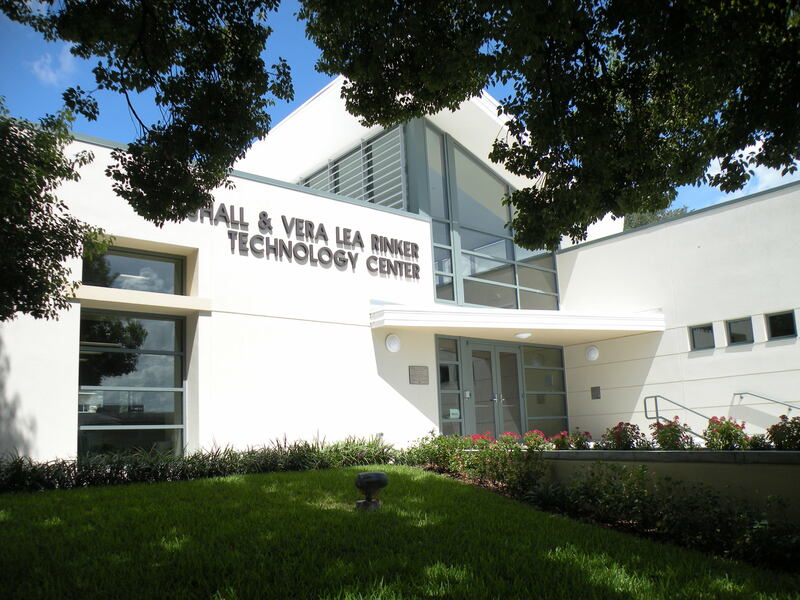 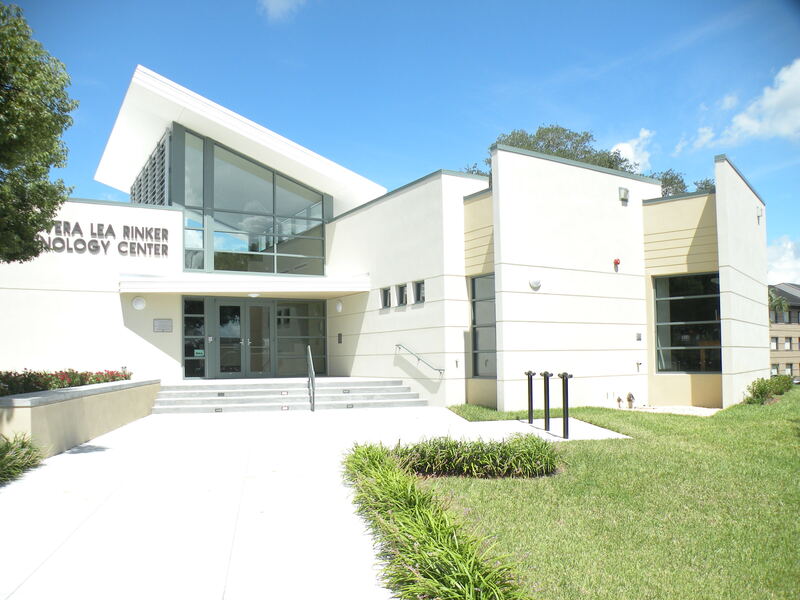 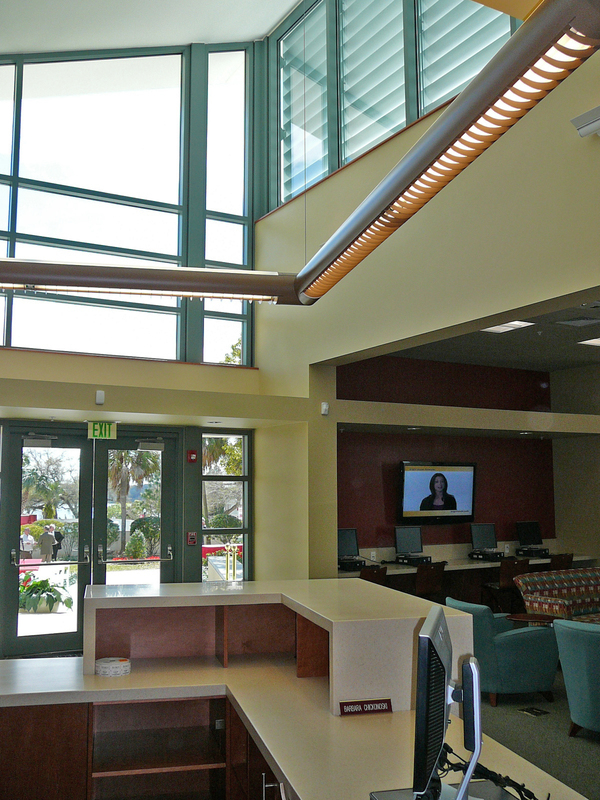 The Marshall and Vera Lea Rinker Technology Center serves as the nucleus for learning on Florida Southern College’s campus, providing students with the latest technology for individual, group and classroom learning opportunities. 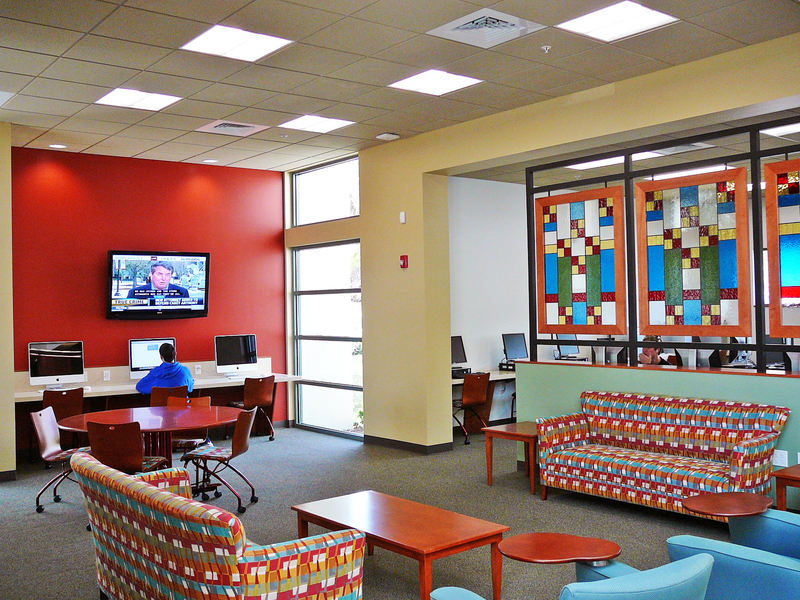 The space was equipped with modernized presentation classrooms, a cyber lounge, team work spaces, and private work stations. 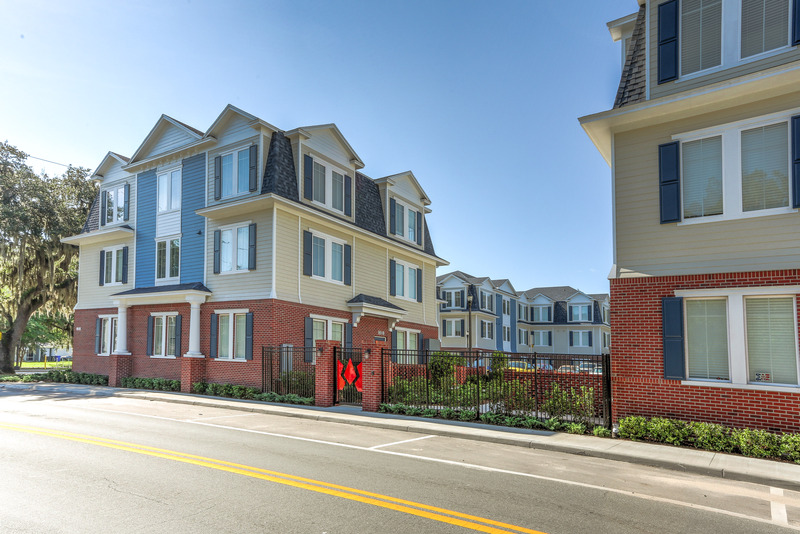 The design implements the sweeping lines and organic palette of the surrounding Frank Lloyd Wright architecture, introducing stylized stained glass windows reminiscent of the iconic Danforth Chapel. 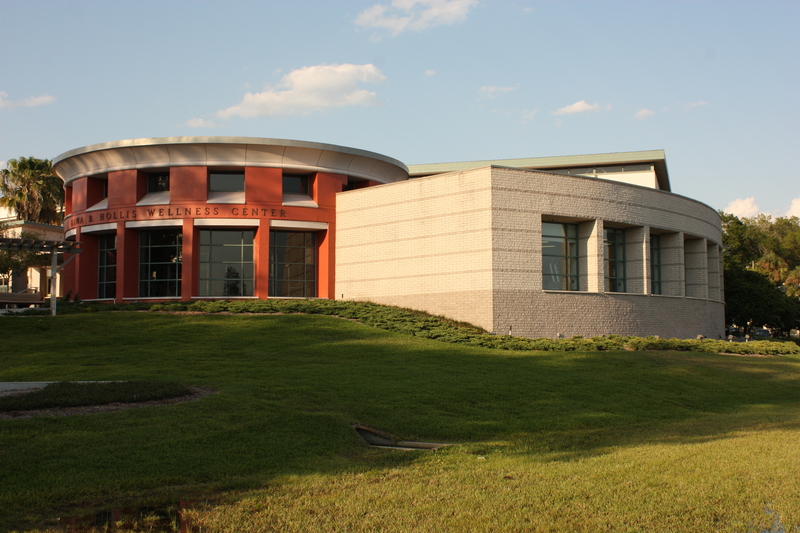 Contractor -- Folsom Construction Management, LLC. 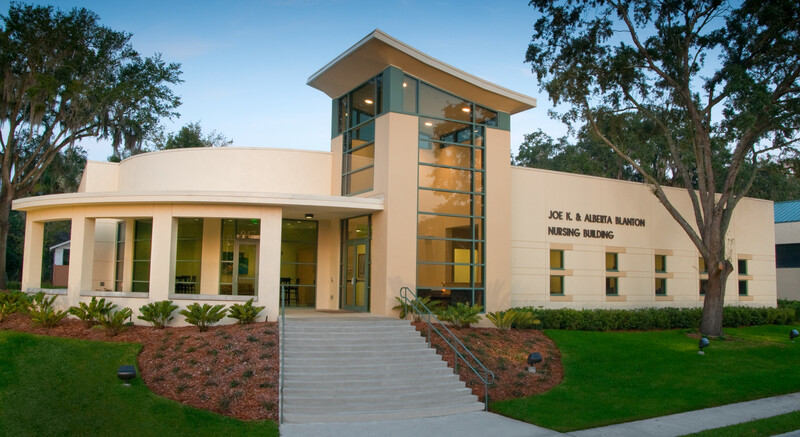 MEP Engineer -- The Walter Fedy Group, Inc.